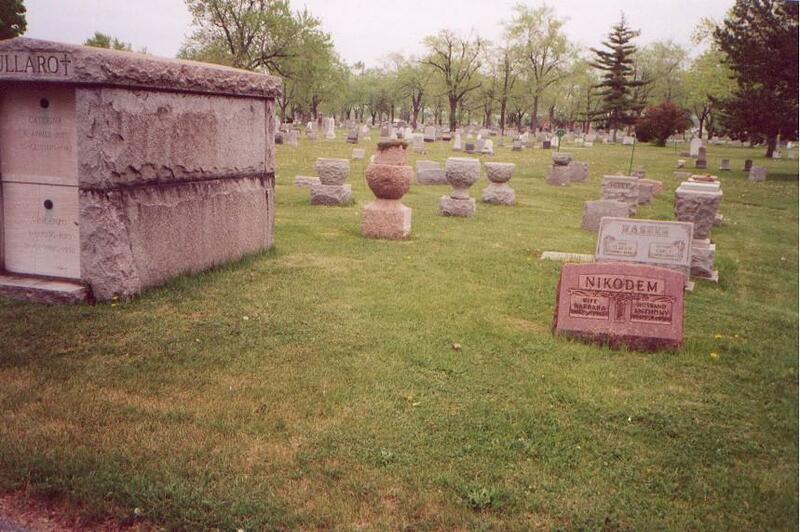 Flora Valentine Schwert was born on February 14, 1897, in Buffalo, NY. She was the daughter of Franz Carl and Julia (née Schlia/Schlee) Schwertfeger/Schwert and the youngest of their eight children. Flora was baptized on February 21, 1897, by Father Ferdinand Kolb of Saint Boniface R.C. Church, 124 Locust Street, Buffalo. Cemetery and church records indicate that she died on March 6, 1897, at the age of 19 days. 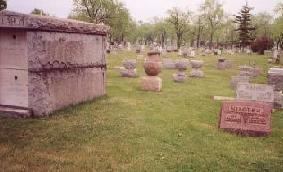 Cemetery records show that the infant's death was attributed to marasmus. The family at the time of her death resided at 152 Orange Street in Buffalo. 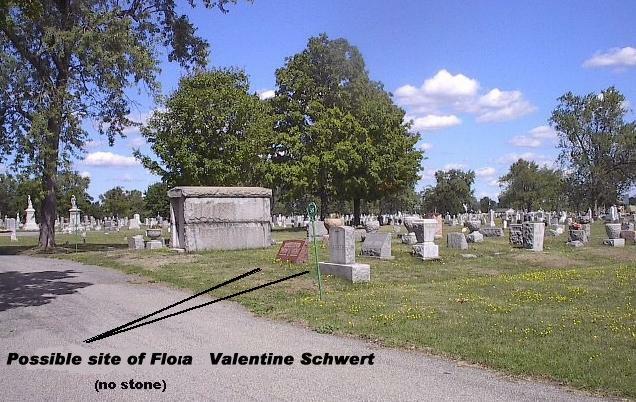 Flora is interred in an unmarked grave in Lot 2, Section YY, Line 6, Grave 76, United German & French Cemetery (Pine Hill), Cheektowaga, NY. In this small area lies the unmarked grave of Flora Schwert, Lot 2, Section YY, Line 6, Grave 76, United German & French Cemetery (Pine Hill), Cheektowaga, NY. A map to locate this site is available here. In this small area lies the unmarked grave of Flora Schwert, Lot 2, Section YY, Line 6, Grave 76, United German & French Cemetery (Pine Hill), Cheektowaga, NY. 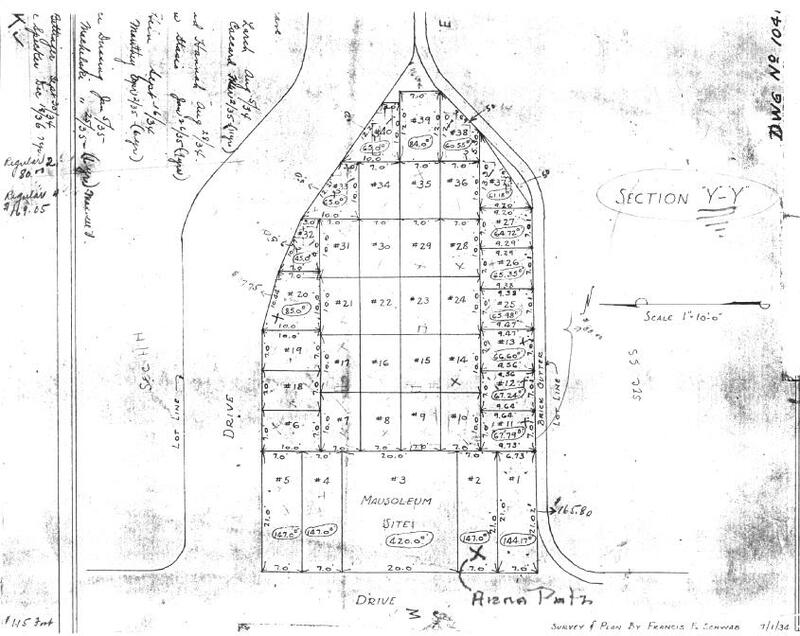 A map to Section YY is available here. Baptismal Record: Flora Valentine Schwert, February 21, 1897, Saint Boniface R.C. Church, Buffalo, NY. Death Record: Flora Valentine Schwert, March 6, 1897, Saint Boniface R.C. Church, Buffalo, NY. 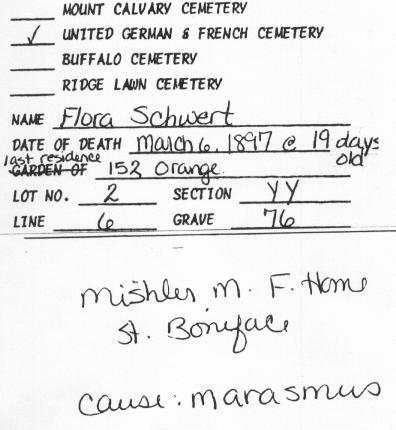 Interment Record: Cause of death and position of unmarked grave for Flora Valentine Schwert, United German & French Cemetery, Cheektowaga, NY. Record shows that family resided at 152 Orange Street at the time of Flora's birth/death. 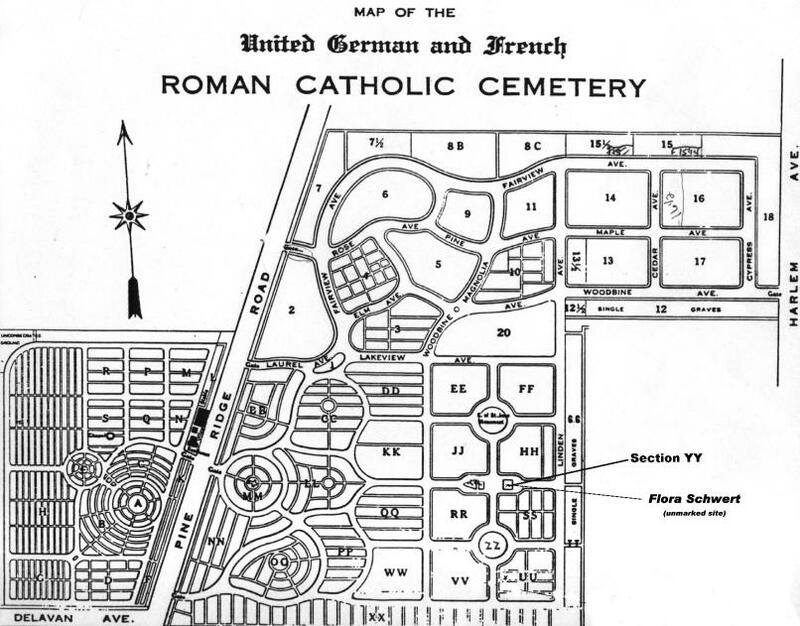 Cemetery Plot Map: Section YY, United German & French Cemetery (Pine Hill), Cheektowaga, NY.